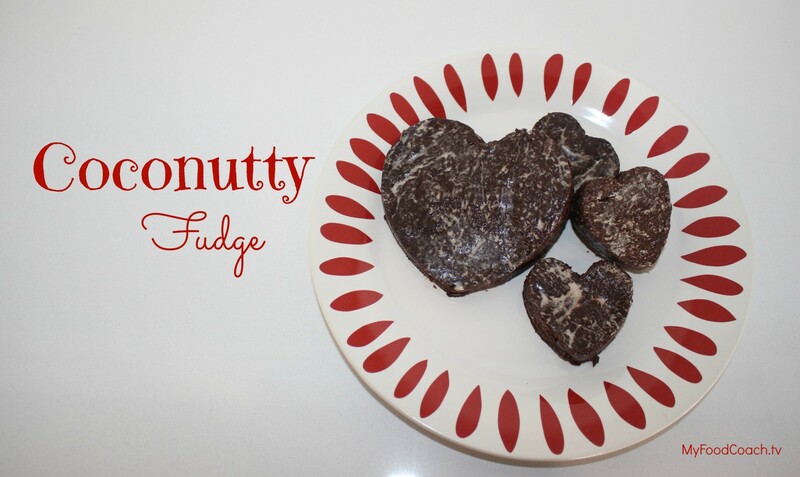 This Coconutty Fudge recipe will satisfy a chocolate craving like no other. It’s made with unrefined coconut oil, which gives it a slightly coconut flavor and is utliized differently in the body. Place all ingredients in a food processor and process until well blended. Line a large loaf pan with parchment paper and spread mixture about 1/2 inch thick. Wrap up in parchment paper and refrigerate for several hours. Cut into small squares and store in an airtight container in the refrigerator.